Do you think St. Paul would blog today? An interesting article by a Christian travel writer and blogger makes that case in this week's America Magazine. Do you blog? Why or why not? I'd be very interested in your comment here. Thanks. "Confront the dark parts of yourself. ... Your willingness to wrestle with your demons will cause your angels to sing." Playwright August Wilson, (books by this author) who was born on this date Frederick August Kittel in Pittsburgh, Pennsylvania (1945). 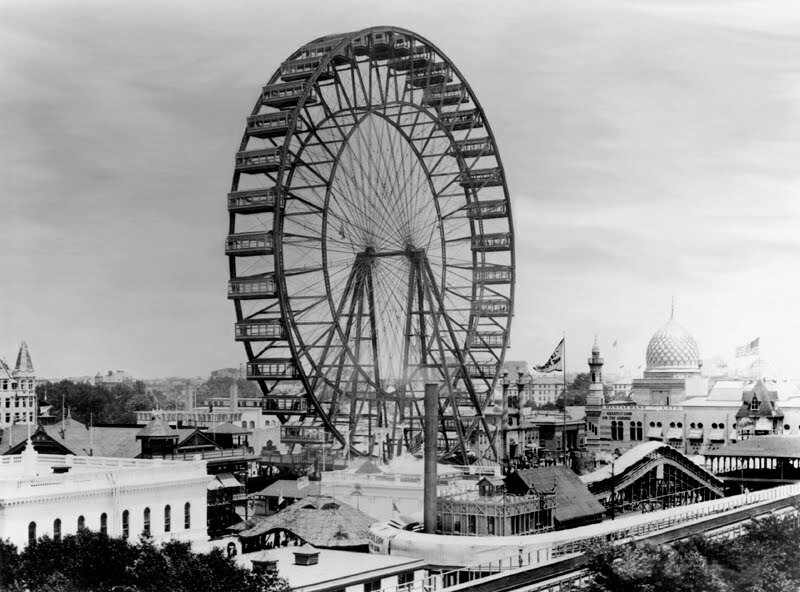 Right after (the challenge to create a world-class engineering centerpiece for the 1893 Chicago World's Fair that would symbolize American engineering prowess) George Ferris immediately "began casting several things over in his mind. One night at dinner, in the company of a small group of friends, the idea of a great observation wheel came to him, like an inspiration. He rapidly sketched his plans in the rough. The inspiration of the moment was a stroke of genius. The original sketch was so perfect that it was carried out in its entirety; not a single change was made." Make no little plans; they have no magic to stir men's blood and probably themselves will not be realized. Make big plans; aim high in hope and work, remembering that a noble, logical diagram once recorded will not die, but long after we are gone be a living thing, asserting itself with ever-growing insistence. Remember that our sons and our grandsons are going to do things that would stagger us. Let your watchword be order and your beacon beauty. Daniel H. Burnham, Architect, in charge of the 1893 Chicago World's Fair.